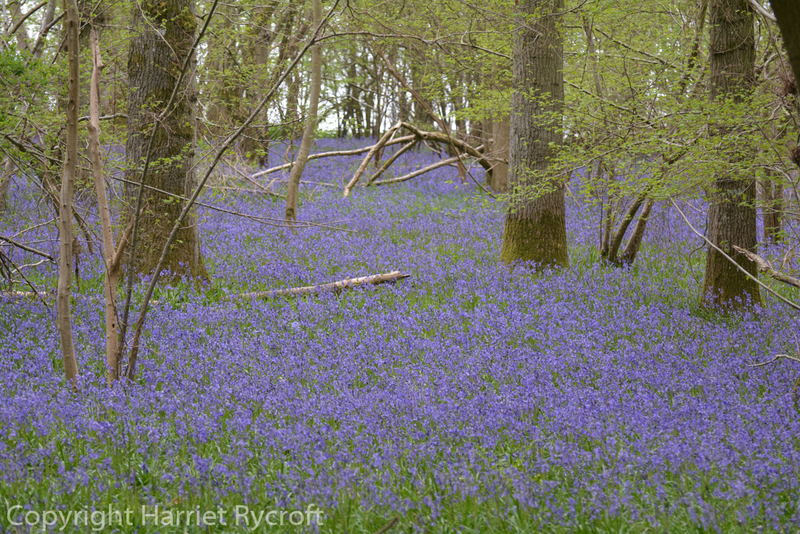 There are bluebell woods dotted all around the Cotswolds, and as you drive about it is hard not to be distracted by the sudden gorgeousness of a streak of blue under the trees and hedges. 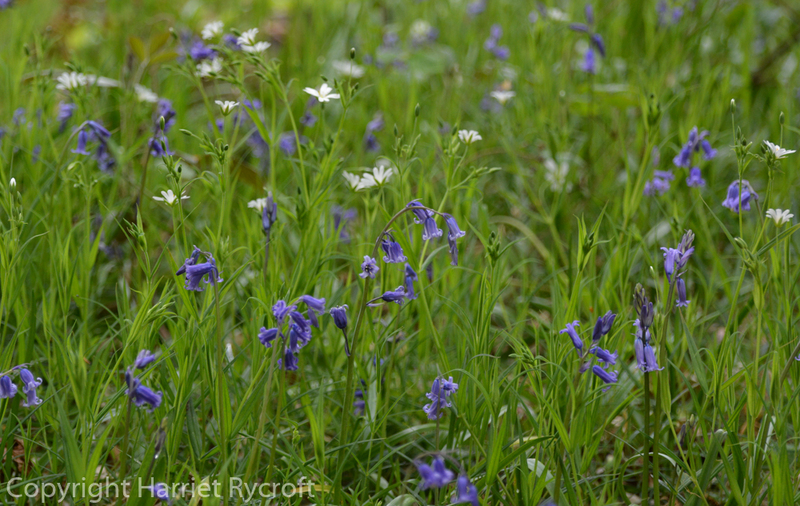 We have the bully-boy bluebell Hyacinthoides hispanica/Scilla hispanica in our garden and though I pull as much out as I can it laughs in my face. 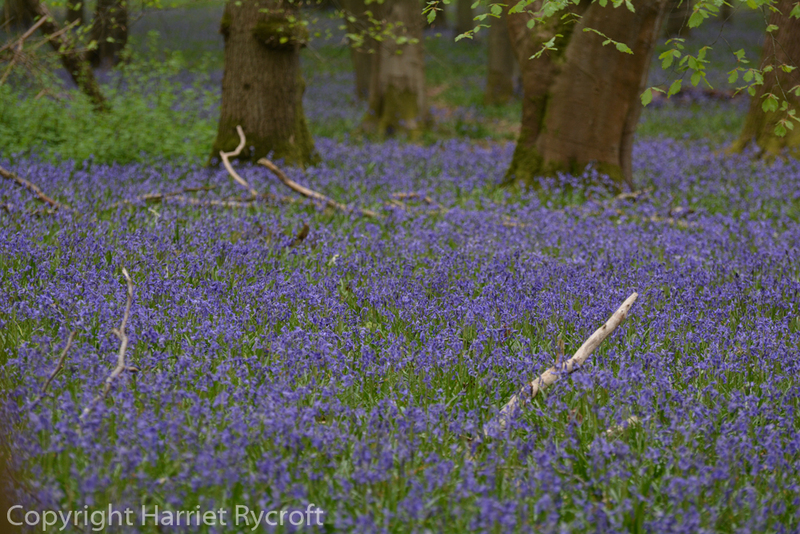 I don’t mind it too much in our town garden, even the pink and white versions, but I would worry if we lived near a bluebell wood because our native bluebells (Hyacinthoides non-scripta) are no match for their cousin’s fatness and fertility. 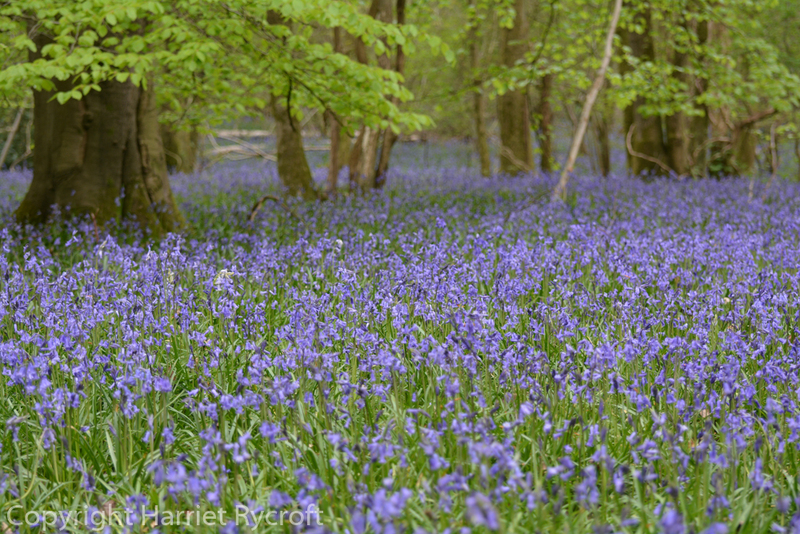 It doesn’t have the scent, the grace or the intense colour of the wild bluebell. 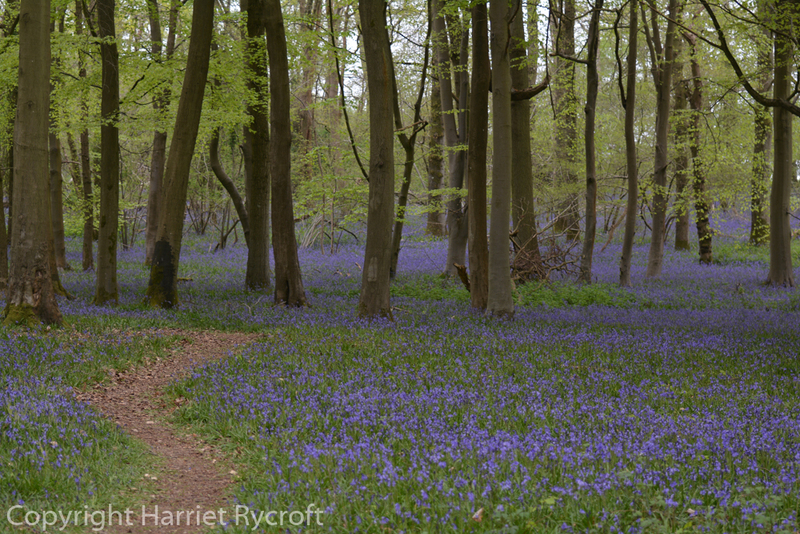 Last weekend we took my mother to visit one of the best places to see proper bluebells near us – at Foxholes Nature Reserve, near Bruern Abbey. It was a strangely hot and still day, not quite sunny, so lacking a little sparkle, but the scent rose from sheets of blue and wrapped us in a warm embrace. We found ourselves speaking in hushed tones as if in a cathedral – but a squawking gaggle of Duke-of-Edinburgh award walkers came past us (“Ugh, mud! Where shall we eat our sandwiches?”), and then a roaring family playing I’m the King of the Castle on a fallen tree shattered the peace. If they’d just shut up for a moment, they would have heard the sound of summer (chiffchaffs) and then, judging the edge-of-wood resonance perfectly, a confident cuckoo. 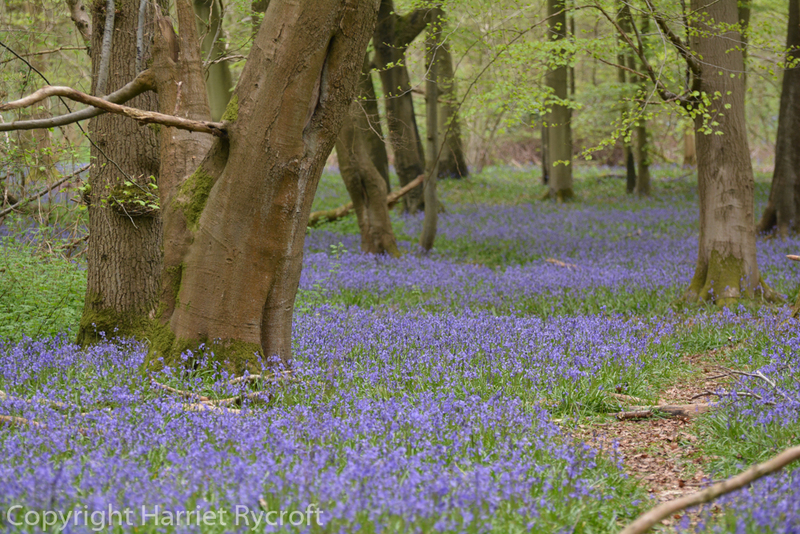 So here are a few pics if you haven’t managed to get to a bluebell wood this spring, you can make the cuckoo noises yourselves. 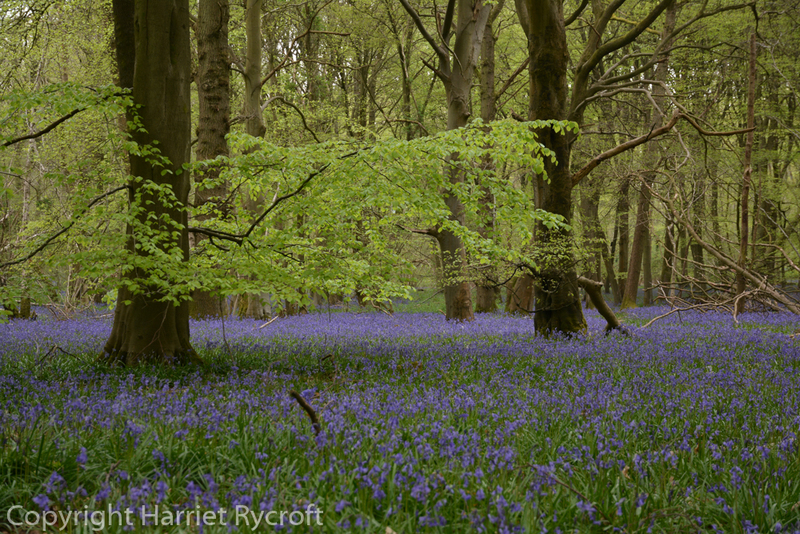 Foxholes is my favourite Bluebell wood in the UK. I’ve been to a few now in different parts of the country and nothing compares to it. It is kind of like a catherdral, to trees, fragrance and beauty. Your photos are just how I remember it. Thanks for sharing. 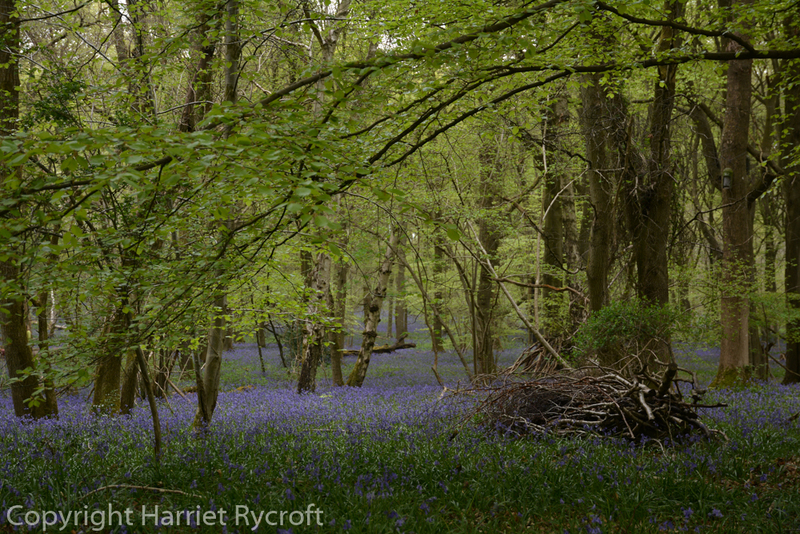 Glad to be able to take you back to it again, it’s a special place!So glad the Wildlife Trust is taking good care of it.